When it comes time to organising an event, whether that be a wedding or a corporate function, you need good quality and stylish glassware to get you through the event. While some organisers like to step outside the norm in terms of glass styles, others love a traditional look with a slight twist. This is where the Cepage Wine Glasses come to the forefront. Available in two sizes – 180ml and 240ml – the Cepage Wine Glasses are perfect for any event you might be holding as a speciality order, or to stock your wine glass holders with for your day to day events. But the Cepage glasses aren’t just great for events – they are a good choice for corporate gifts, using in your resort or hotel rooms and for promotional merchandise. Many companies will use wine glasses combining them in a gift box with a bottle of quality red or white wine, while for weddings and events, these glasses can easily be printed with the event details. Promotional wine glasses are a great choice when you run a business; they help your brand stand out and your customers will see your brand over and over as they use your glasses. Even better is that wine glasses make a showing at dinners and BBQ’s meaning your brand will be in front of a range of potential customers. The Cepage range has a solid base with a slight flare at the top; they are well made and sport a great size logo print area to help your brand stand out. 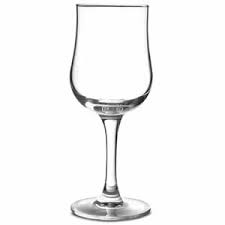 With two good sizes, these glasses can be utilised for both red and white wines. For your next promotional glass, check out our Cepage range – they will fit perfectly into any promotional campaign you have coming up.